Our Opening night Premiere Event on April 5, is a full night of food and celebration, beginning at the Party Pavilion with tastes from some of the best restaurants in town, great entertainment and some special silent auction items. After you've had your fill, we all head on over to the theatre where we present this year's Visionary Award to Founder and Executive Director of Local First Arizona, Kimber Lanning. Then it's our Opening Night Film, Lean on Pete. Tickets for this Opening Night Event are $60 with all proceeds going to the Phoenix Film Foundation's education programs. Please note that the Opening Night Event is not included in Single Tickets, Flex, Festival and VIP Passes. We're just seven days shy of PFF 2016 and we want to introduce you to some of our newest filmmakers. This week we chatted with Scott K. Foley, director of this year's feature festival selection Jessica. Sometimes to get where you’re going, you have to outrun who you don’t want to be. Jessica is a low-budget indie that's been favorably compared to films like Drinking Buddies and Frances Ha, though, as one reviewer put it, with a "story unique enough that it never falls victim to cliché." It’s a movie with a complicated female character at the center of her own story, a film that passes the "Bechdel Test" in its opening minutes and one that goes on to set a new grading curve as it unfolds. We like to say Jessica is a story about a young woman who’s coming-of-age, just five years too late. When we started looking into festivals, we had the opportunity to sit down with talented filmmaker Frank Hall Green to talk about our strategy. Frank’s film Wildlike had played at Phoenix last year and he spoke very highly of the fest. After learning that the festival was started by filmmakers and was recently named one of the Top 25 coolest Fests by Moviemaker Magazine, it was clear that the Phoenix Film Festival would be on our list! Plus, for a short time, when he was Jessica’s age, director Scott Foley lived in Arizona (Wickenburg), and he’s very excited to share the film with the with one of the few places he has called home. We’re incredibly excited about the screenings of the film. There’s simply nothing better than getting to share the film with audiences, which is always such a rewarding experience. 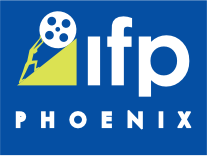 Films were meant to be shared, and we’re really excited about how the Phoenix Film Festival is not only helping us share Jessica, but also allowing us the opportunity to connect with audiences in person. We’re also excited to meet other filmmakers and attend the awesome seminars and talks! The piles of money, right? :) But seriously, what we love the most is the sense of community. First in the creativity and passion of all the amazing collaborators you get to work with throughout the entire process, and then again when screening the film. At every festival we’ve been to, we’ve met lots of other talented filmmakers and independent film fans, and the conversations have been truly amazing. To be able to interact with such a large group of like-minded people is a rare privilege. Well Josh and I actually just moved from our beloved Chicago. Unfortunately we moved in separate directions. Josh moved to Los Angeles where he continues to work for the Oprah Winfrey Network and I moved to Brooklyn where I’m doing film and video editing. Although we are both still getting settled in our new cities, we have been working on two new genre scripts--one about the dangers of human cloning. Quite a departure from Jessica! The Phoenix Film Festival is proud to announce that our Opening Night Film is Morris From America. A heartwarming and crowd-pleasing coming-of-age comedy with a unique spin, Morris from America centers on Morris Gentry (Markees Christmas, in an incredible breakout performance) a 13-year-old who has just relocated with his single father, Curtis (Craig Robinson) to Heidelberg, Germany. Morris, who fancies himself the next Notorious B.I.G., is a complete fish-out-of-water—a budding hip-hop star in an EDM world. To complicate matters further, Morris quickly falls hard for his cool, rebellious, 15-year-old classmate Katrin. Morris sets out against all odds to take the hip-hop world by storm and win the girl of his dreams. Written and directed by acclaimed up-and-coming filmmaker Chad Hartigan (This is Martin Bonner), Morris from America won two prizes at this year’s Sundance Film Festival, the Waldo Salt Screening Award and a Special Jury Award for Robinson, who has been receiving tremendous praise for his touching and nuanced performance in his first serious role. Poignant and funny in equal measure, Morris from America is a delightfully original take on growing up, following your dreams, and finding your voice. Once again, our opening night film will be shown in conjunction with our Opening night Premiere Event on April 7, a full night of food and celebration, beginning at the Party Pavilion with tastes from some of the best restaurants in town, great entertainment and some special silent auction items. Then it's over to the theatre for our Opening Night Film, Morris from America. The Phoenix Film Festival's design team have been working overtime to bring you the official 2016 Phoenix Film Festival posters. Based on our tagline, "Find your new favorite movie", the team took four iconic images from some of the most classic films and gave them a Camerahead twist! Congratulations to our designers, Marty Freetage, Lisa Marie Lara, Amy Bornstein and Alex Merrill on a job well done! You will be seeing a lot more of these posters in the next couple of months! But don't wait! These prices will only be valid through JANUARY 4, 2016. Click on the button below to purchase your early bird passes, and we will see you at the Phoenix Film Festival, April 7 - 14, 2016! Are you suffering from Phoenix Film Festival withdrawals? Not to fret! The Phoenix Film Festival is proud to announce its Summer Showcase. Audiences will have an opportunity to preview some of the best and most anticipated studio films before they're released! In MISTRESS AMERICA, Tracy (Lola Kirke) is a lonely college freshman in New York, having neither the exciting university experience nor the glamorous metropolitan lifestyle she envisioned. But when she is taken in by her soon-to-be stepsister, Brooke (Greta Gerwig) - a resident of Times Square and adventurous gal about town - she is rescued from her disappointment and seduced by Brooke's alluringly mad schemes. A discussion will follow the film hosted by Phoenix Critics Circle member Eric Forthun. Oren Moverman's drama TIME OUT OF MIND stars Richard Gere as George, a homeless, mentally-ill man who has been unable to hold a job for years. He drifts through the city looking for food, alcohol, and shelter. He also tries to make contact with his estranged daughter (Jena Malone). Eventually George takes advantage of some of the social services provided by the city of New York, but he lacks the proper paperwork to get the financial assistance he needs. He befriends a fellow homeless man (Ben Vereen) who claims to have been a successful jazz musician. A discussion will follow the film hosted by Phoenix Critics Circle member David Appleford. A discussion will follow the film hosted by Phoenix Critics Circle member Colin Boyd. Tickets are $10 each and a pass for all 4 films is just $30. Don't wait to buy tickets. Seating is limited to only 250 seats per screening.